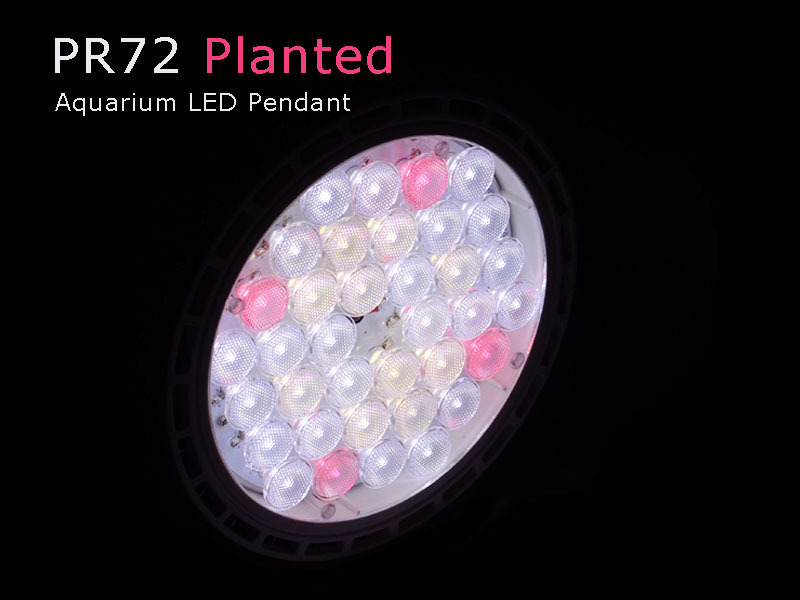 The Orphek PR72 Freshwater Planted Aquarium LED Lighting is a member of the new PR72 family of LED Pendants. Our design goal was to aid freshwater hobbyists in growing beautiful plants without relying on the sun or low PAR florescent tubes. The pendant also serves to bring out the vibrant colors found in some species of freshwater fish. 36 high power LEDs tuned for aquatic plant growth. Mean Well dimmable LED driver for improved efficiency and longevity. 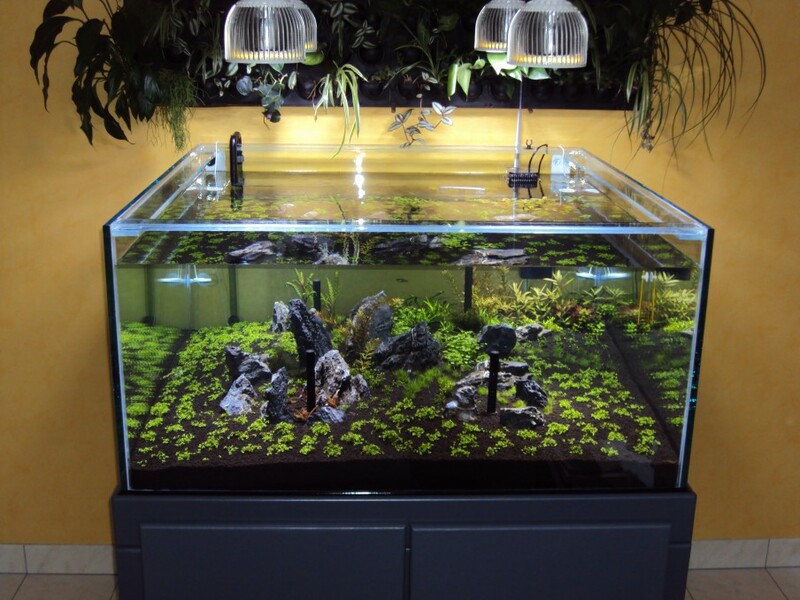 Wide spectrum red, white, and blue LEDs duplicate the light spectrum required for growing beautiful aquatic plants. Replaces energy wasting incandescent, florescent, and metal halide lighting. Low energy use, typically 30% -50% less than other lighting technology. Aluminum finned heat sink effectively dissipates heat from the LEDs ensuring long life of the electronics. The LEDs were selected to duplicate the lighting spectrum beneficial for growing aquarium plants rapidly while producing thicker foliage. Absorbing wavelengths in the blue and red spectrum are essential for growing taller plants. Through Orphek’s experiments and recommendations of aquatic plant experts, we have added two of our specially designed red LEDs which play an important role in the plants ability to produce chlorophyll. Our diffused lenses and high PAR/Lux levels will allow you to hang the pendant at a higher distance from your plants which will give you more light coverage per square inch. Our one piece fin shaped combination housing and heat sink rapidly dissipates heat from the LEDs and eliminating excessive heat on your plant life. 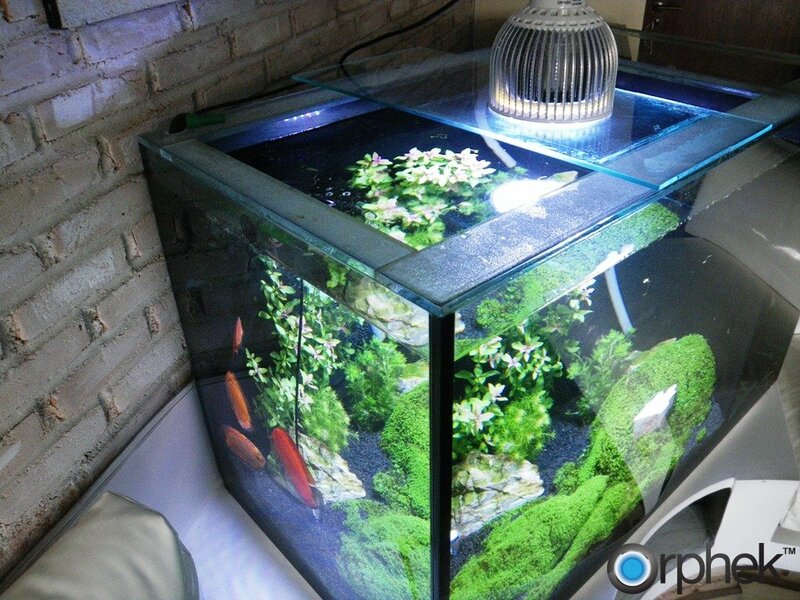 The PR72 Freshwater Planted Aquarium LED Pendant is plug and play. The pendant includes a cable with an RJ45 connector for direct hook up to an Apex Variable Speed/Dimming Module (VDM). The RJ45 plug can also be removed allowing connection to interface boards with + and – terminals. 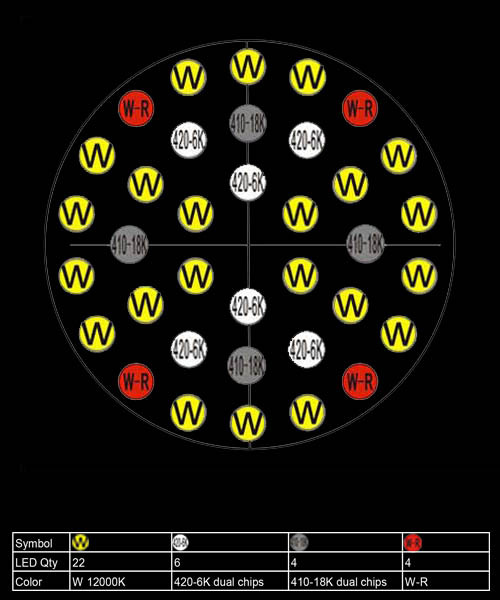 Dimming capability: Yes, with Apex, Reefkeeper and other digital controllers.